The crime scene was straight out of an Alfred Hitchcock movie. One hundred and fifty dead birds lay sprawled on the ground, fallen out of trees in a park in The Hague, Netherlands. And it wasn’t the first time it had happened. The culprit stood atop a nearby train station, a mast with new 5G network antennas. The test of the telecom system failed in more ways than imagined and as a result, the Dutch ministry postponed its 5G-spectrum auction until 2020. 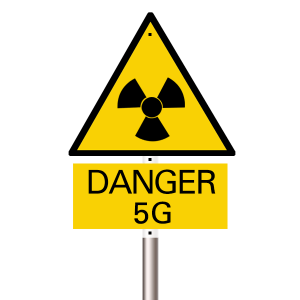 Brussels has now halted their 5G plans indefinitely because it is not compatible with Belgian’s radiation standards. If you aren’t very familiar with 5G, here are the basics. Short for “fifth-generation”, 5G is the next evolution of wireless networks. Driven in part by consumer demand, 5G is not only faster, it has the ability to support more connections bringing other objects into the fold of wireless technology. In short, everything from our cars to thermostats to household appliances will be able to communicate with one another and we will have the ability to communicate with many of these objects remotely. Because current 4G networks don’t have the room to accommodate the enormous amounts of data 5G will transfer, it will require its own frequency bands. 5G will be the first generation to utilize millimeter waves that have higher frequencies ranging from 30 to 300 gigahertz. Since Millimeter waves don’t travel as far as lower frequency waves, cannot travel through buildings and are absorbed by trees, the earth’s atmosphere and even the uppermost layers of human skin, companies will have to install short range cellular antennas in huge numbers – generally one per every 10 to 12 households, making it virtually impossible to avoid sources of EMF radiation. The current plan, which has already been approved by Congress and the FCC, is to put tens of millions of 5G antennae, irradiating every single person and other organisms in the whole country, without even a single biological safety test of genuine 5G radiation … That is absolutely insane. Over 180 doctors and scientists sent a letter to the European Union urging them to take action that included temporarily halting the rollout of 5G until it can be properly tested and ensured safe for humans, especially children and the environment; until there is a plan to inform people of the health risks; until they have created an independent, unbiased agency of EMF scientists to draw up new standards for EMF exposure; until such time as they can monitor and study effects of EMR exposure; until such time as they can prevent the wireless industry from lobbying for influence and regulating the expansion of wireless; and until they have taken the time to consider a switch to wired digital communications over wireless. The fact that all of these guidelines aren’t already in place shows the situation we are blindly walking into on a global scale. The idea that experts in the field are so troubled about the threat 5G poses while telecoms and the FCC are only concerned with getting the technology out as fast as possible does not bode well for our future. Considering the possible health effects, why are governments pushing so hard and fast for 5G? Patrick Wood, in his book Technocracy Rising, explains that projects like the smart grid, smart meters, sustainability, Agenda 21, smart cities, climate change are the future of Rule through Energy (world government). The continuous real-time measuring of both energy production and use, along with the control of that production and use, for the good of the people, of course, requires 5G. According to the Global Commission on Economy & Climate, smart cities could save the world as much as $22 trillion by 2050. Operating across a vast ecosystem of sensors, mobile devices, communication networks and data centers that are enhanced by advanced analytics including AI, the system will enable smart energy harvesting and storage, building automation and smart traffic management — even notifying drivers of available spaces in parking lots. It will also assist in crime prevention, help improve school security, facilitate disaster management and increase preventive healthcare through lifestyle nudges at both the personal and social levels. Wow, sounds like they are quoting a page out of the United Nation’s playbook on Sustainable Development. Perhaps Woods is on to something! There is no question that 5G will give the government an unprecedented level of surveillance and control over the lives of American citizens. The only question that remains is the destruction it will cause to our health. ← What Price Would You Pay?